This is going to be a quick troubleshooting guide on what to do in case your Galaxy S5 can’t read or detect your SIM card. If you get an error message that says "No SIM Card" error then don’t panic. While your phone won’t be getting any calls or text messages while this error is present most of the time it can easily be resolved. Below are the steps you can take to troubleshoot the issue. Turn off your phone and take out the SIM card. Once you have the SIM card removed inspect it carefully for any physical defects or dirt. Also inspect the SIM card holder of your phone for physical defects or dirt. If you find any dirt present then try cleaning it with a toothpick. If you have access to another phone that works with your SIM network then try inserting your SIM to that phone. What we are trying to do is to eliminate any possible SIM card related causes. If the same error message occurs then contact your service provider and have your SIM replaced. 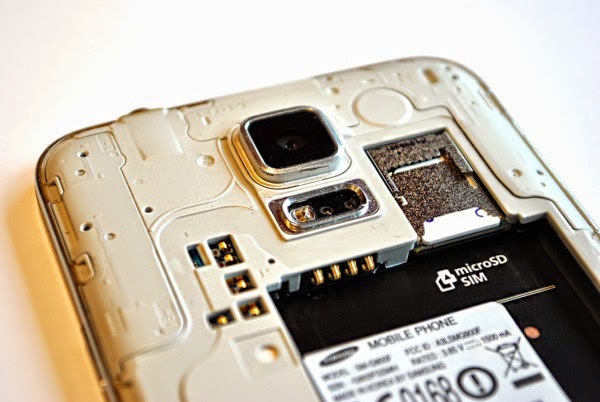 If the however the phone can detect the SIM without any errors then it’s probably an issue with your Galaxy S5. Try inserting the SIM once again in your S5 but this time do it carefully and check if the orientation and position of the SIM is correct. Turn on your phone and check if the error is still present. If the error occurs again try inserting a new SIM in your S5. Once the error still exists with the new SIM then it’s most probably a hardware issue already. In this scenario you would have to bring your phone to an authorized service center and have it repaired. If it is still under warrant from your carrier then you might want to contact them for a possible replacement unit.